Finally the curtains have been closed on a typically lively Winter mercato for the youth sector of Juventus. As is all too often the case, there were a flurry of deals late in the day, with one or two failing to materialise due to last minute pondering and wretchedness on the document delivery front. Attacking midfielder Grigoris Kastanos has headed to struggling Pescara aka Juve B. The 19 year old Cyprus international joins fellow juventini Fiorillo and Cerri at the Serie A dungeon dwellers. And made his full debut in the top flight last weekend playing most the match of the 3-0 mauling away to Inter. Pescara have been eager to take Mandragora, Romagna and Mattiello. Yet the former and latter remain in Piedmont and Romagna has moved to Brescia. Whilst I have my surely understandable reservations of a youngster heading into what appears a forlorn battle against the drop, to be playing at the top level domestically is assuredly a solid step forward in the player’s development. His former team-mate Roman Macek, another attacking midfielder, has moved to Serie B outfit Bari. Where he has already made his senior professional bow. Again, regardless of how his new side fares in their league campaign, I am jolly to find the Czech moving up a level to test himself with the big boys. Big Mama Thiam has headed off to Empoli on loan, with an option to purchase. A journeyman who has done the rounds of European offerings and now returns to Italy. Likely one to use as a makeweight in other future deals. Thiam is quick, likes the wing, but cuts in to provide a goal threat whenever a hint of an opening occurs in the offing…At 24, the Senegalese has perhaps missed his chance to wear black and white. Yet remains a useful bargaining chip who is progressing. After barely featuring at Palermo, dutch midfield maestro Ouasim Buoy has been transferred back to his homeland of the Netherlands to reprise his position in the Zwolle side. 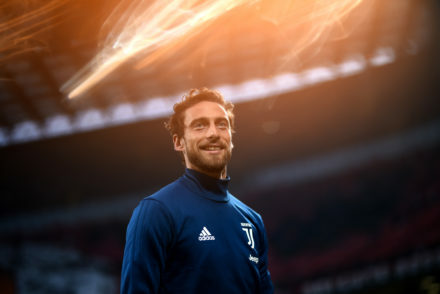 Given he is now 23, has suffered bothersome injury woes, yet prospered in certain sides, I retain hope that our senior squad remains a distant dream and possibility for the talented midfielder, especially given his agent is Raiola. He clearly has class. One of the major hopes of our youth sector, Filippo Romagna, has found playing time hard to come by at Novara. And whilst Pescara were interested, I am pleased to find him switching to Brescia. The Italy U19 CB deserves a chance with the seniors and I hope he finds it at his new club. Colombian attacking midfielder Juan Manuel Valencia, 18, has surfaced in Bologna, seemingly signed in synergy. And sticking with South Americans…One of the quartet of players for whom we received purchase options as part of the Tevez deal, Adrian Cubas, has moved to Pescara. The defensive midfielder, who appears a dynamic dwarf with decent feet who loves to hustle, has moved on loan with an option to purchase for 4m, yet our option – which must be taken up by April 20th – was for 6.9m. I assume – especially given our good relations with Pescara – that this is essentially a loan from Juve, unofficially of course. I have liked what I have seen of the kid so far. And will be keenly following his progress at the struggling Serie A side. Great maturity for a 20 year old. Tenacious and lively. Another of the optioned players, central midfielder Rodrigo Bentancur, 19, is faring very well indeed at the U20 South American Championships, starring for Uruguay in last night’s 3-0 drubbing of arch rivals Argentina (besides narrowly avoiding a broken leg). Rodrigo is a first team starter for the side, and was straight back into the team after his suspension for a group stage expulsion expired (against the Argies…perhaps they were out for revenge!). Beppe has mentioned that we are almost certain to sign him, taking up the 9.4m option prior to April 20th and a fair amount of tabloid ink was splattered around the internet regarding a possible earlier arrival than the Summer. Unsurprisingly, Boca DS Angelici demanded yet more gold. And so it seems more likely he will appear in June. Also playing at the U20 tournament is our primavera star Rogerio, who is in and out of a first XI berth at LB for Brazil. His side made it through the second group stage and will likely qualify in the top four for the U20 world championship to be held later this year in South Korea. The other Boca players with options, Cristaldo (on loan at second tier spanish club Rayo Vallecano) and Guido Vadala (who was in our primavera last season then on loan at Santa Fe in Argentina) are likely to be avoided. They have done little to warrant the investment of lucre. It is tricky to know what the devil is afoot with superstar in the making Bioty Kean. He has continued to impress for the U19s – 9 goals and 4 assists from 12 games – as well as making his debut for the senior side. However, we are still waiting for the 17 year old to sign his first professional contract with the club. His brother has made some annoying statements of late, apparently suggesting they (is he an agent also?) are evaluating offers from the premier league and whilst Raiola recently stated the player is happy at Juve, his future remains at best uncertain. My assumption is that Raiola will wait to learn of our plans for the lad in the Summer before ‘advising’ him to sign the contract. Or head elsewhere. And I am unsure if there is anything we can do about this, for Raiola holds the cards. We must try to keep him happy, which is not how we generally operate as a club, for it is always, and should be, club before any individual player. Yet this kid has mega talent. As does Luca Clemenza who has returned from his ACL injury suffered during least year’s viareggio tournament in March and has hit the ground running. His performances have been sublime. Back in the goals and a vital component of Grosso’s charge for glory on several fronts. 10 goals and 4 assists from 15 games as an attacking midfielder is imperious form at any level. Luca has been at the club since 2011, signed from Vicenza, and has steadily shone as a player of wondrous technical ability. Some compare him with Del Piero. Lofty accolades indeed, but they seem valid, for he shares Il Pinturicchio’s magical vision as a creator, a set piece specialist and goal threat from all over the field. Aligned to his outstanding natural talents, he is a leader, and wears the captain’s armband with pride. No such concerns of his loyalty. And like many others, I am very eager indeed to see him progress to senior football which is ear-marked for the next campaign. By which time he will have turned 20. 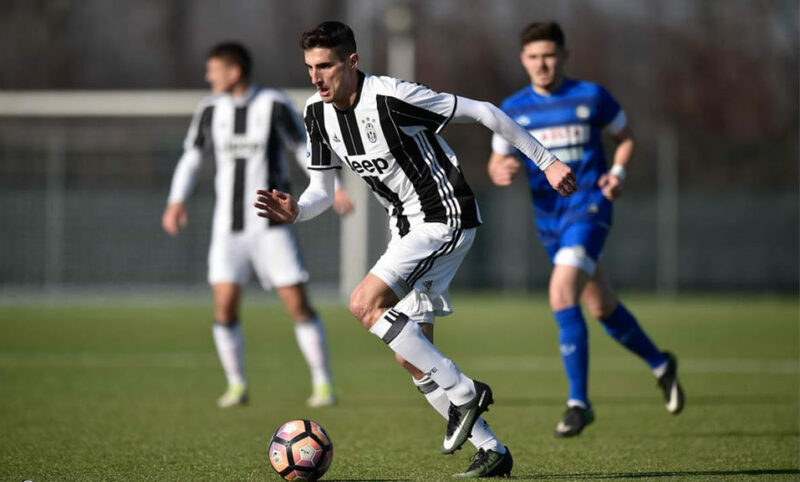 Another player in Grosso’s ever impressive primavera squad who appears destined for a sterling career is 16 year old Fabrizio Caligara. Able to play centrally both defensively and offensively in midfield, Fabrizio has moved up to the U19 level with ease, fast becoming a mainstay of the side. He has registered 1 goal and 4 assists and featured in the coppa, league and more regularly in the UEFA Youth League adventure. Two footed, as menacing in the tackle as he is with the ball at his feet, the kid brims with startling potential. The primavera sit top of their league campaign, 3 points clear of nearest rivals Chievo. 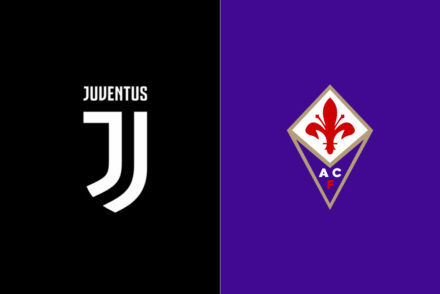 And whilst we were dumped out the coppa italia with a horrid showing against Fiorentina (crunched 1-4 at home), more joy is to be found in other competitions…We face Ajax in the knockout round of the UEFA Youth League – the first time we have reached this stage – on February 7th, my 38th birthday. Intriguingly, their star striker is none other than Justin Kluivert, son of former Ajax and Netherlands frontman Patrick. We have also confirmed for the Viareggio tournament to be held in March. There is of course more to outline of our loaned players such as Leali’s steady progress in Greece and the exceptional form of Leonardo Spinazzola, with Tello still making inroads towards the first team at Empoli and Pol Lirola enjoying a fine debut Serie A season for Sassuolo. Yet they can wait, for there is one other story from the mercato just breaking which will serve as a splendid finale to this meandering through the various moves of the most talented starlets. As reported here, we appear to have signed a beastly Serbian Brazilian defender from Sao Paulo. 20 year old Lyanco, or to give him his full glory, Lyanco Evangelista Silveira Neves Vojnović. A mouthful worth attempting, at least the once. Born in Brazil with Serbian ancestry, Lyanco (for short) began his career in the youth ranks of Botafogo. Interest appeared soon after from a variety of clubs both domestically based and in foreign lands with AC Milan close to signing him in 2015, only for the transfer to fall through due to work permit issues. He thereafter moved to Sao Paulo and has since worked his way into the senior side where he has become a rock at the back. Representing Serbia at U19 level he then saw the light and switched his allegiance, at least in a footballing sense, to Brazil and can now be found representing their U20 side in the U20 SA Championships, in the same squad as our very own Rogerio. What a dangerous mix! Slav steel combined with latin flair and comfort on the ball. A very interesting potential signing. Given the recent eagerness of Sao Paulo in recovering their old favourite Hernanes, I suspect that the deals may go hand in hand come the Summer. Threading these fragments of my dedication to the cause together, to present the jangled mess above takes countless hours, yet I cannot help but become excited. For despite not just the murmurs and mumbles but the reality of a horrid absence of home grown stars finding a path into the senior side for many moons, many of our prospects seem maturing into extremely capable young men. Alongside which we are signing equally sumptuous talents. I am close to tempted to grab the latest Football Manager offering and replace Grosso! Yet I will restrain myself, for that evil game has stolen years of my life for which I have little to show for. There are few teams operating within the highest echelons of world football who manage to create a conveyor belt from youth to senior. Man United and Barca are the most obvious examples in recent history. You need not just a keen, judicious eye but potent scouting and a club ethos which encourages budding starlets to head to Turin rather than elsewhere. It is my firm belief that Beppe, Fabio and their cohorts are operating at a high level and deserve both our faith and praise. For we are thriving at U19 level, unearthing and enticing to our ranks some immensely encouraging youngsters. They can do no more. The rest is down to coaching and Lady Luck. Please feel free to request information of any other of our fledgling flock whom interest you. I will do my best to respond. And of course, spread the word loud and wide on twitter and other social media outlets. For the more readers and comments and tweets I receive, the more inspired I am to continue covering the youth sector and beyond. I must top up my glass of russian firewater and aim my virtual quill in other directions.